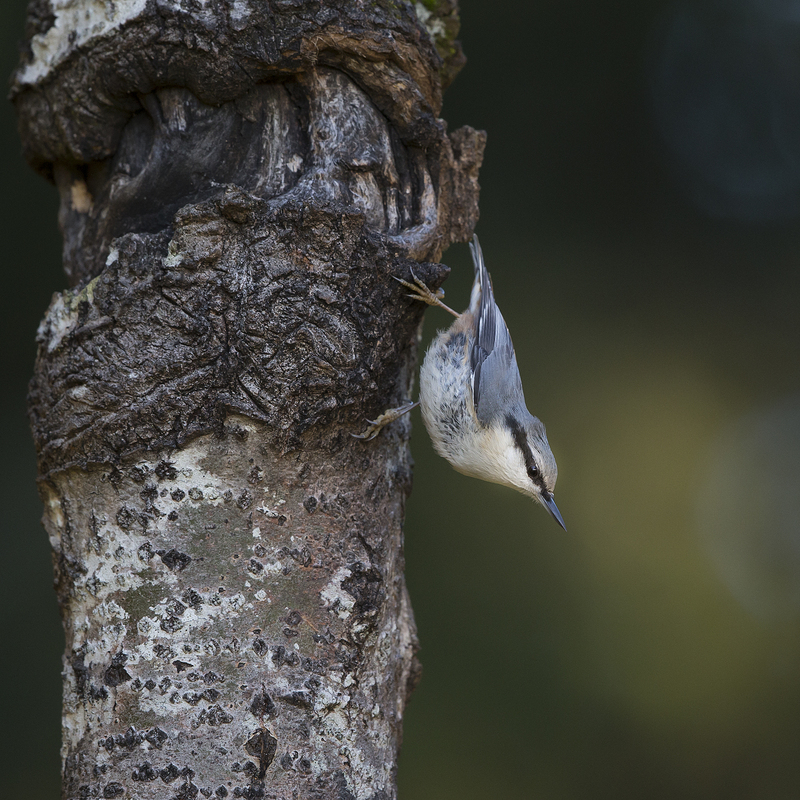 Nuthatches are compact birds with short legs, compressed wings, and square 12-feathered tails. 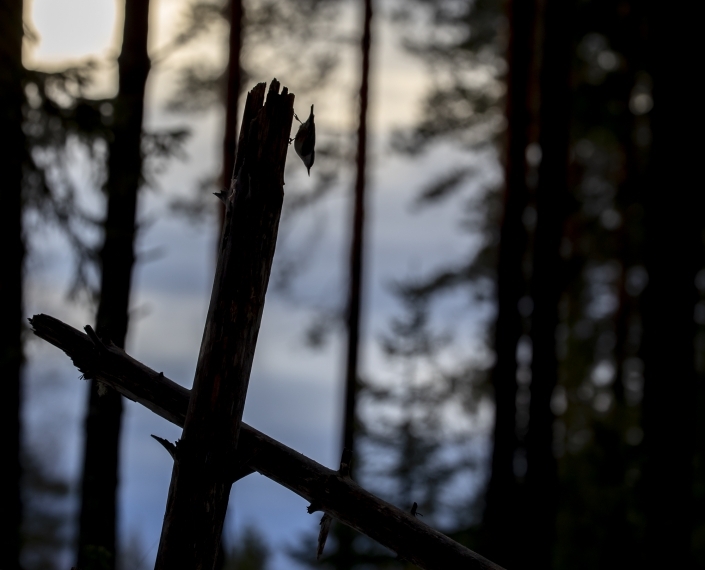 They have long, sturdy, pointed bills and strong toes with long claws. 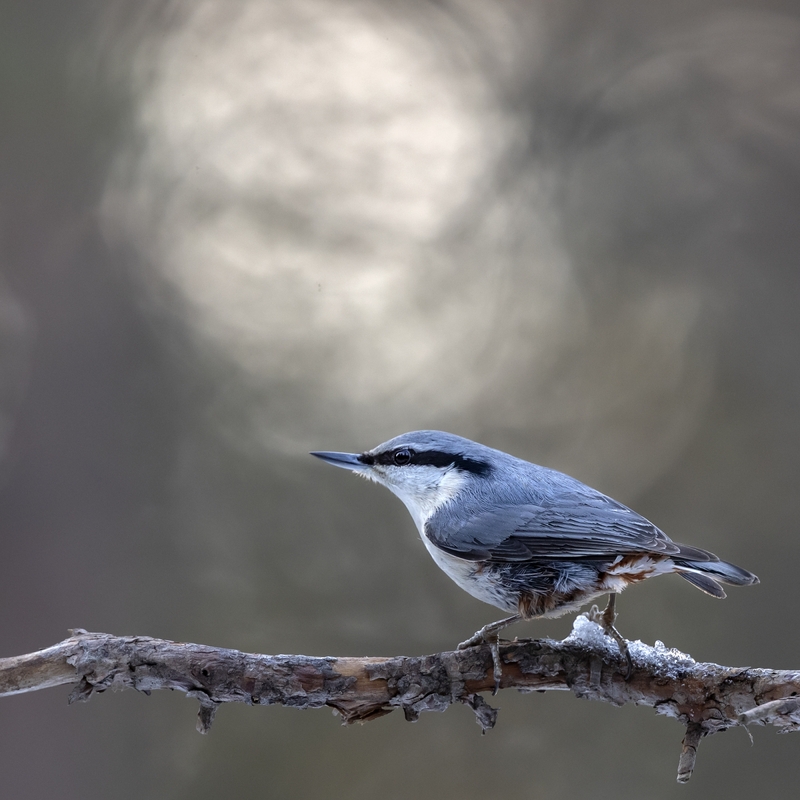 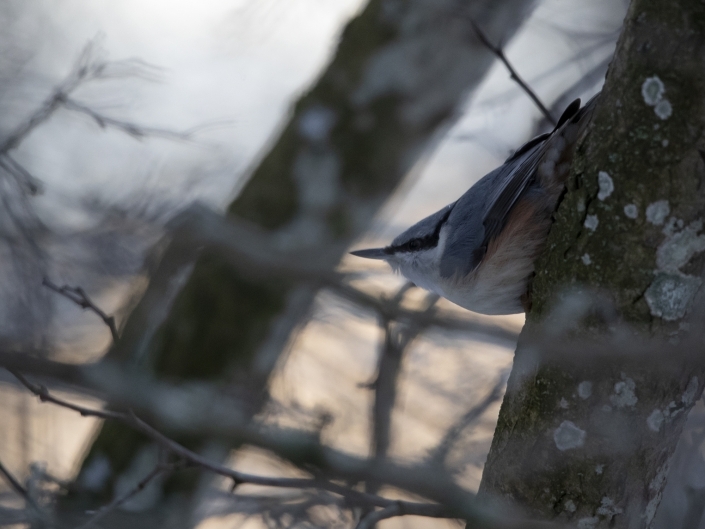 Nuthatches have blue-grey backs (violet-blue in some Asian species, which also have red or yellow bills) and white underparts, which are variably tinted with buff, orange, rufous or lilac. 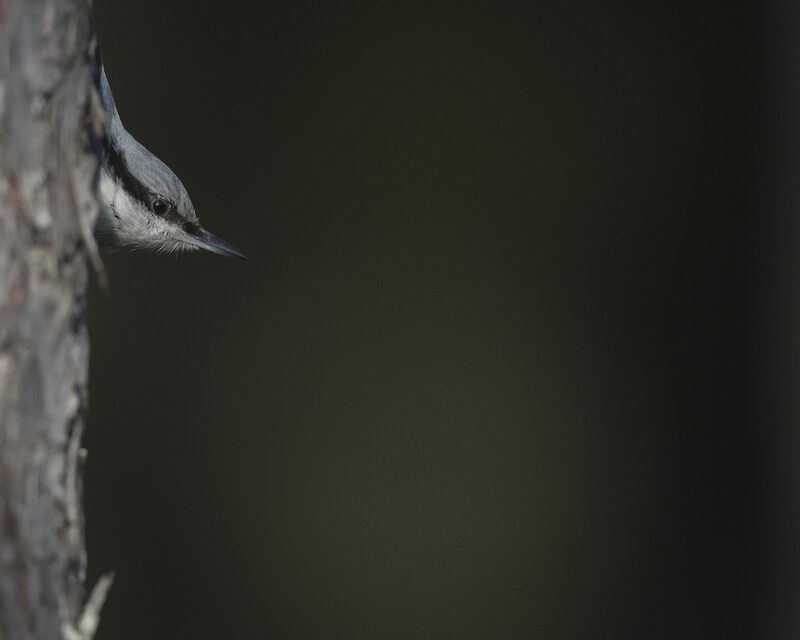 Although head markings vary between species, a long black eye stripe, with contrasting white supercilium, dark forehead and blackish cap is common. 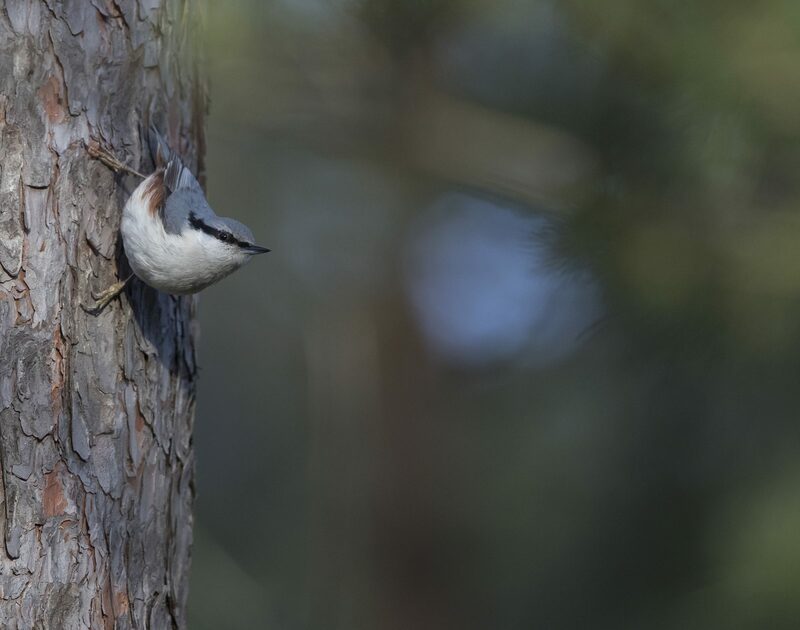 The sexes look similar, but may differ in underpart colouration, especially on the rear flanks and under the tail. 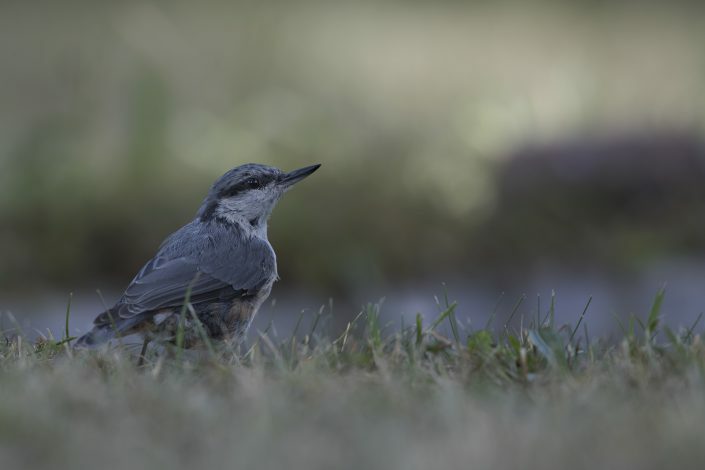 Juveniles and first-year birds can be almost indistinguishable from adults. 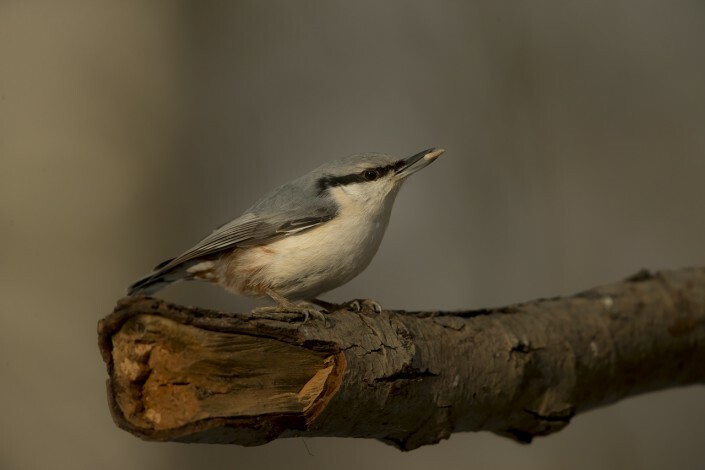 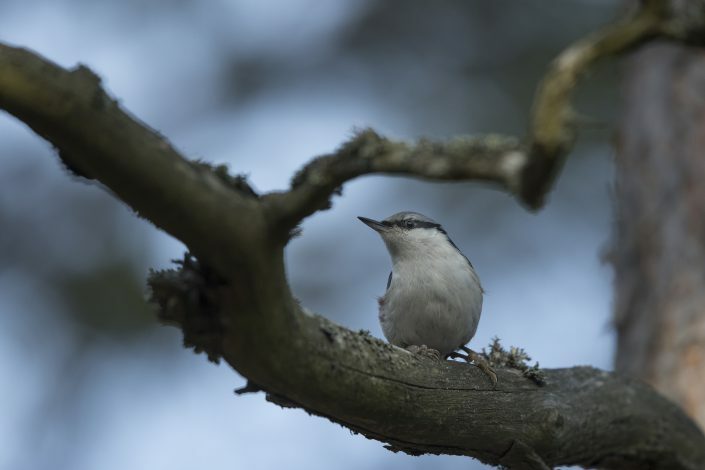 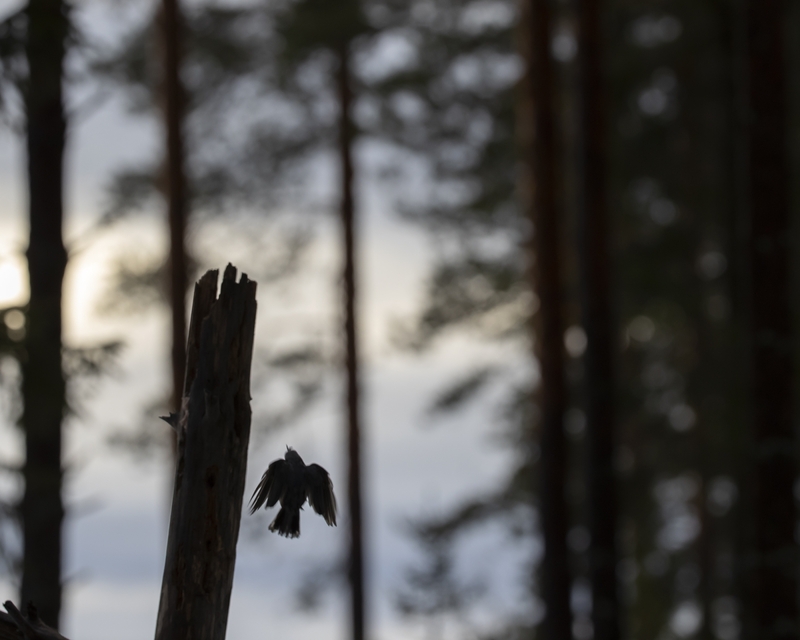 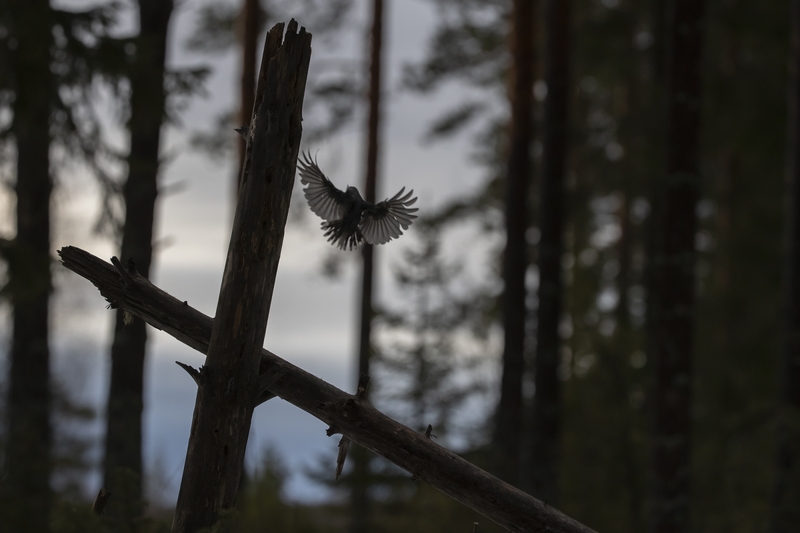 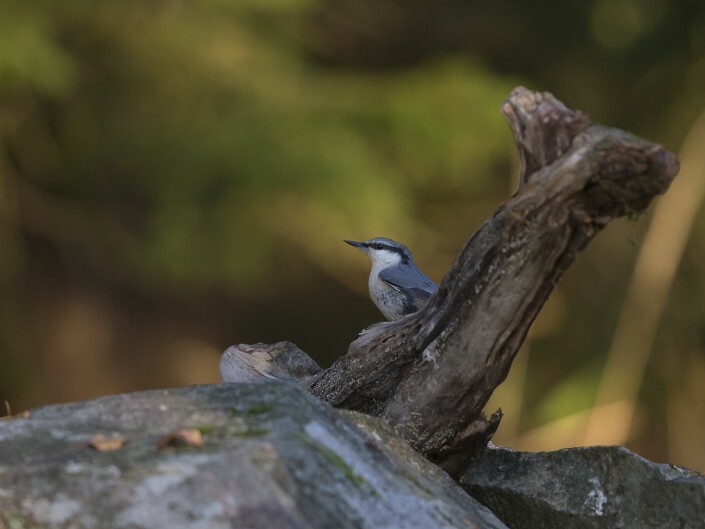 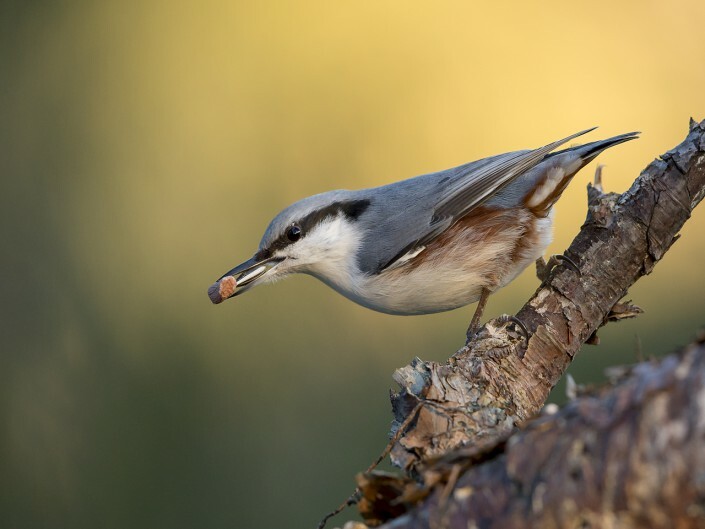 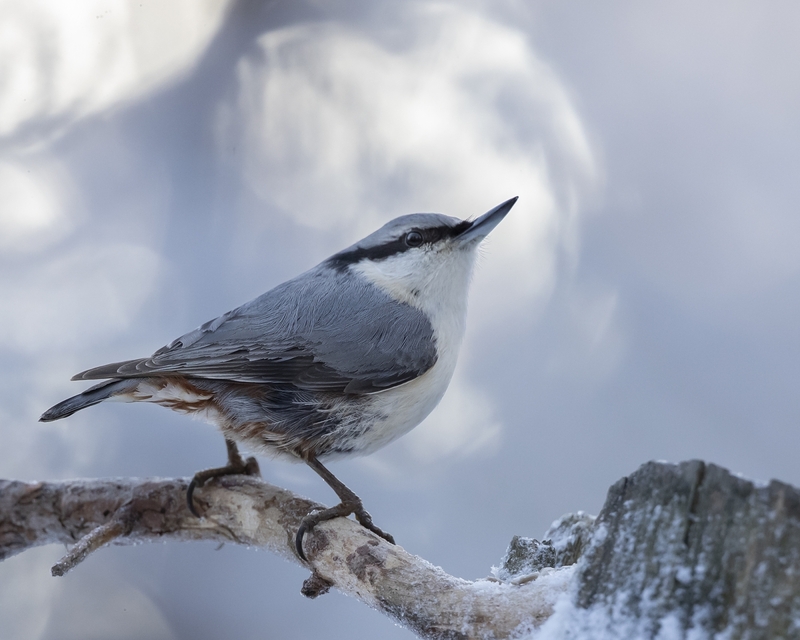 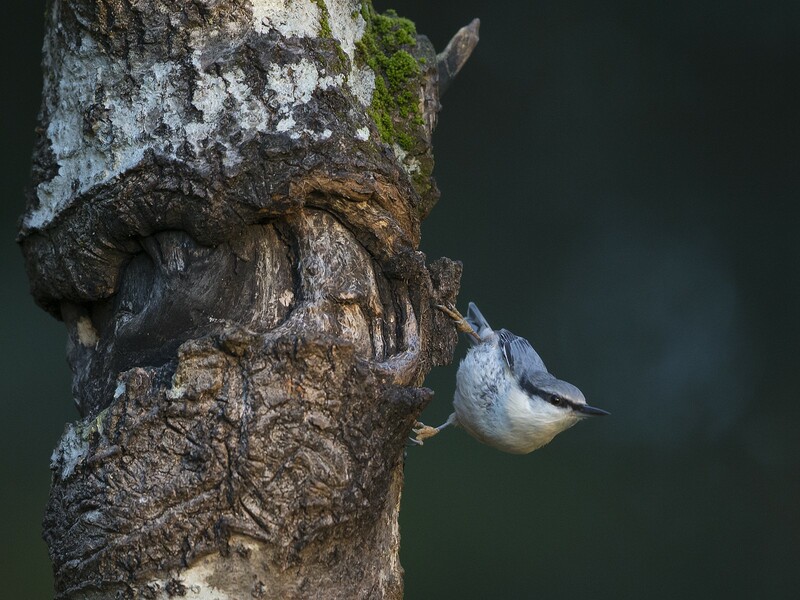 The sizes of nuthatches vary, from the large giant nuthatch, at 195 mm (7.7 in) and 36–47 g (1.3–1.7 oz), to the small brown-headed nuthatch and the pygmy nuthatch, both around 100 mm (3.9 in) in length and about 10 g (0.35 oz). 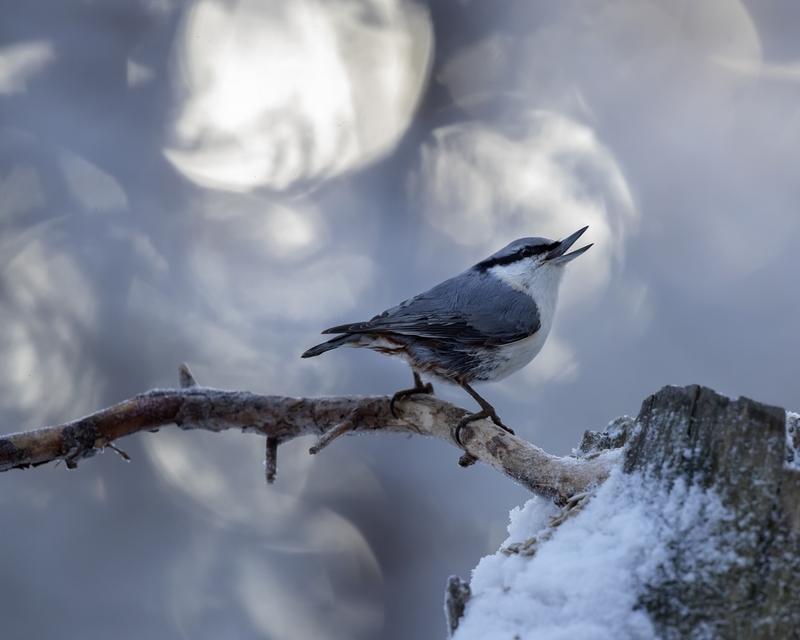 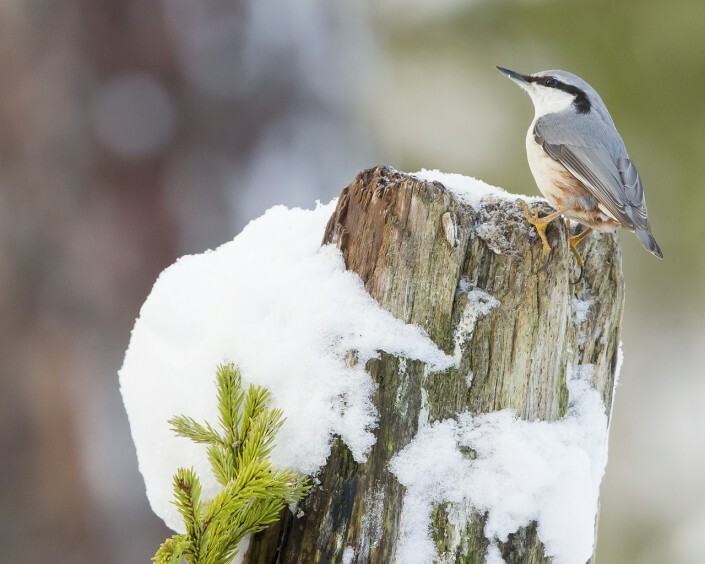 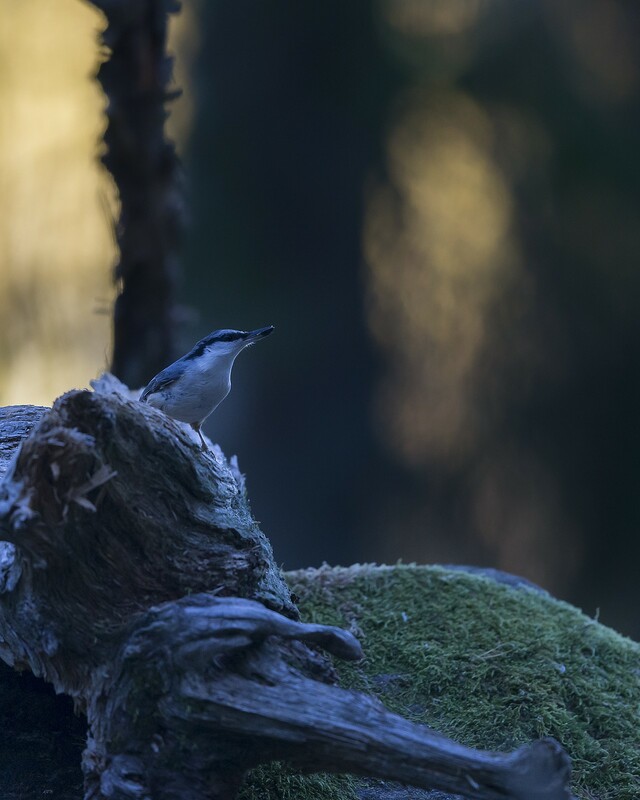 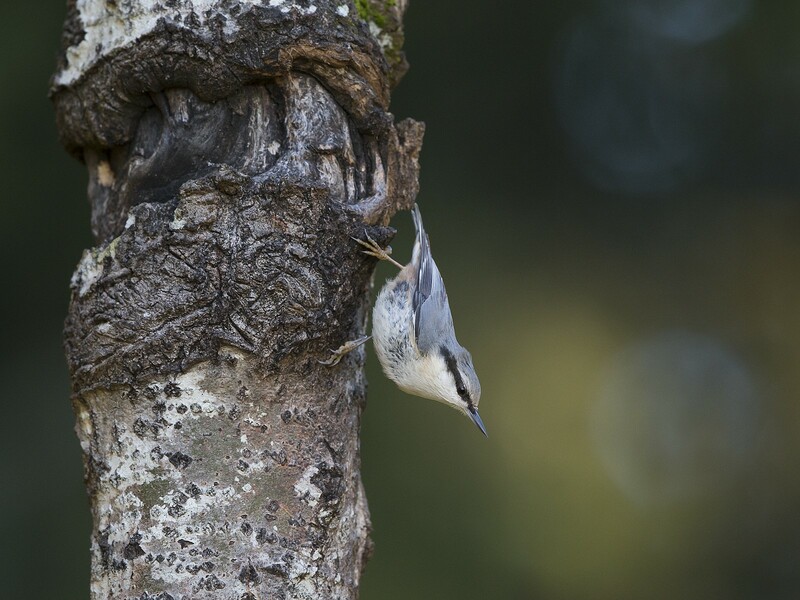 Nuthatches are very vocal, using an assortment of whistles, trills and calls. 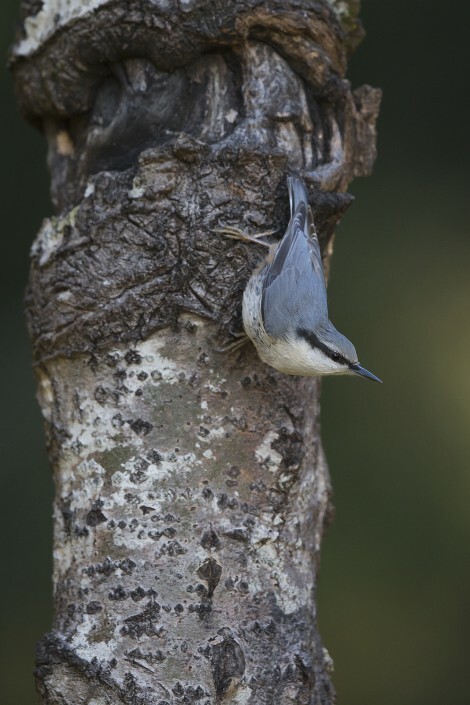 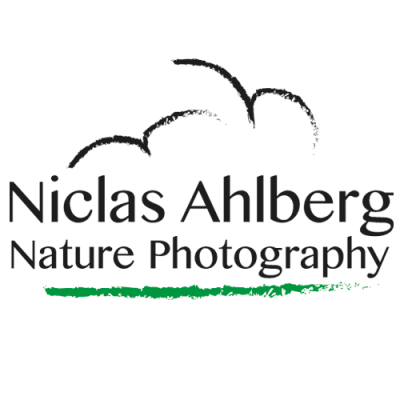 Their breeding songs tend to be simple and often identical to their contact calls but longer in duration. 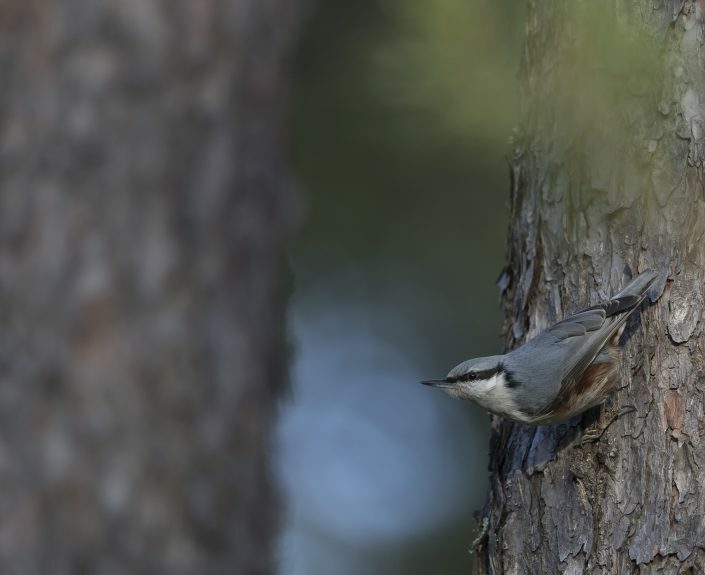 The red-breasted nuthatch, which coexists with the black-capped chickadee throughout much of its range, is able to understand the latter species’ calls. 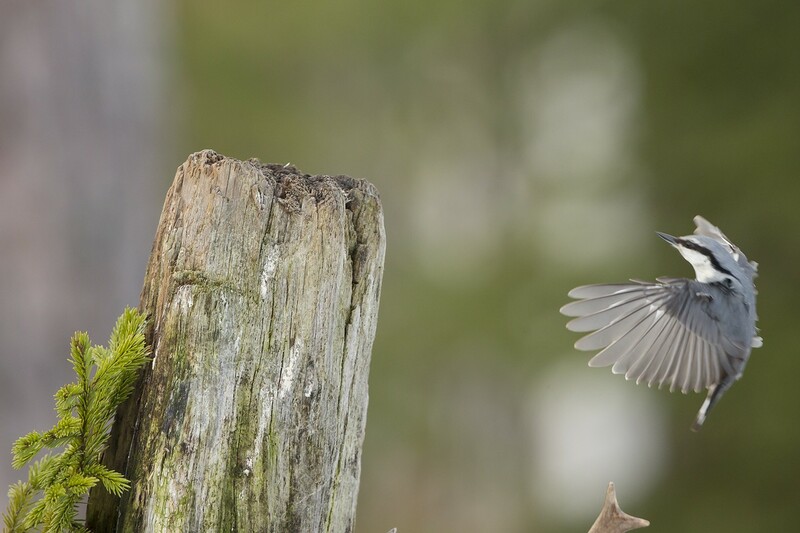 The chickadee has subtle call variations that communicate information about the size and risk of potential predators. 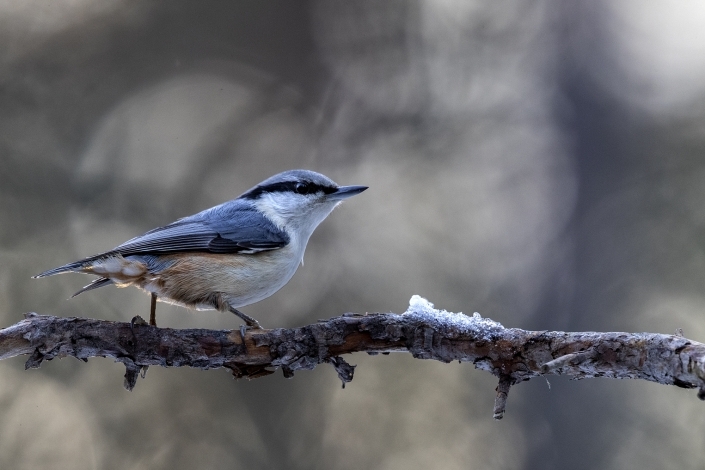 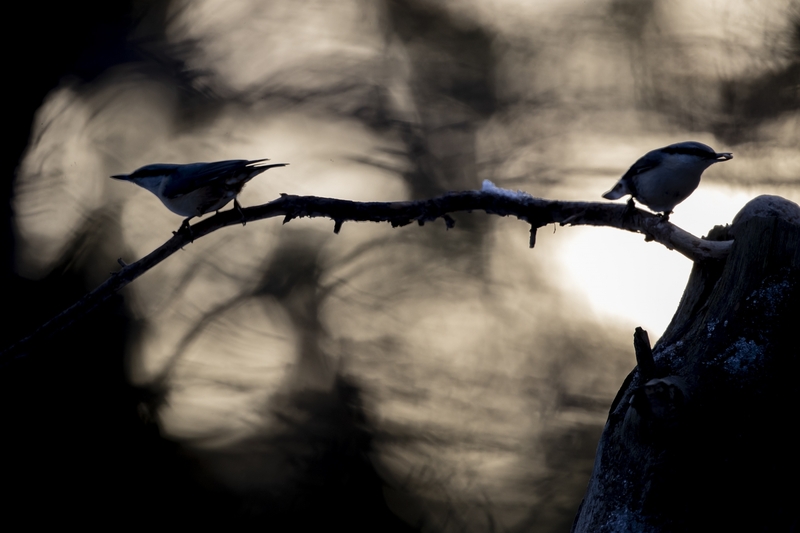 Many birds recognise the simple alarm calls produced by other species, but the red-breasted nuthatch is able to interpret the chickadees’ detailed variations and to respond appropriately.